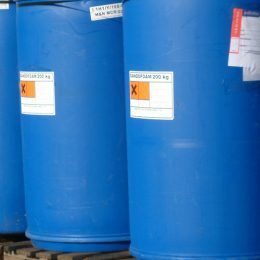 Dando fluids & chemicals are formulated to be efficient, economic, and environmentally friendly. It often becomes necessary to introduce fluid to the hole, even whilst drilling with air as the main flushing medium, to assist with lifting cutting, to stabilise the borehole, or reduce frictional forces. Dando supplies a wide range of drilling foams, hydratable clays and polymers. To find the most suitable additive for your drilling operation please click on the link below to our drilling additives guide.